Located in the extreme south of Italy, it is in a splendid position along the majestic scenery of the Strait and at the foot of Aspromonte mountain: it is a city with thousand years of history and it had been one of the most important centre of the Magna Grecia under the name of Reghion. 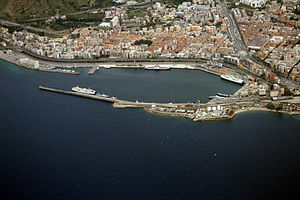 The mitigating effect of the waters of the Strait and its geographical layout makes Reggio one of the most sunny and happy city in terms of climate. If we ask you to think about the Mediterranean Sea,you would surely think about terrestrial and submarine landscapes of incomparable beauty, about fishing villages clinging on beautiful cliffs overlooking a crystalline sea with colorful depth. And you would think the right way!The Mediterranean Sea is all that and much more, it is a wonderful gift which you should live completely, in the right time and overall… in the right way. And the right way for living it is simply the one of being on board of a comfortable sailing boat. So that you can be bewitched by the landscapes of the coast changing mile by mile, caressed by the “complicity” of the sun. But which is the best place to start for discovering the Mediterranean Sea? Perhaps… you are not thinking about Reggio Calabria. Maybe because you can’t even imagine the various and tangible advantages of this kind of choice. Maybe you don’t know that you can quickly reach Reggio Calabria by plane, thanks to its own airport, and thanks to two other solutions in other closed cities: Catania and Lamezia Terme whose airports (both international ones) are only 2 hours far away from our boarding base by car. Probably you didn’t know there are also fast trains connecting Reggio Calabria with the bigger Italian cities (Roma, Milano, Torino, Venezia) that will lead you to Reggio in a few hours of sleep. Maybe you are not Italians and you don’t know that Reggio Calabria is a “real” city always “moving”, without time limits of seasons and with all the services which one is sure to find in a big city: from the hotel accommodation to the ethnic restaurant, from the optician working during the holidays too, to the supermarket everyday opened with no-stop hours, from the High fashion Atélier to the wonderful Golf Club, from a visit to the mythical Bronzi di Riace to a big match against the champion teams of Italian football. 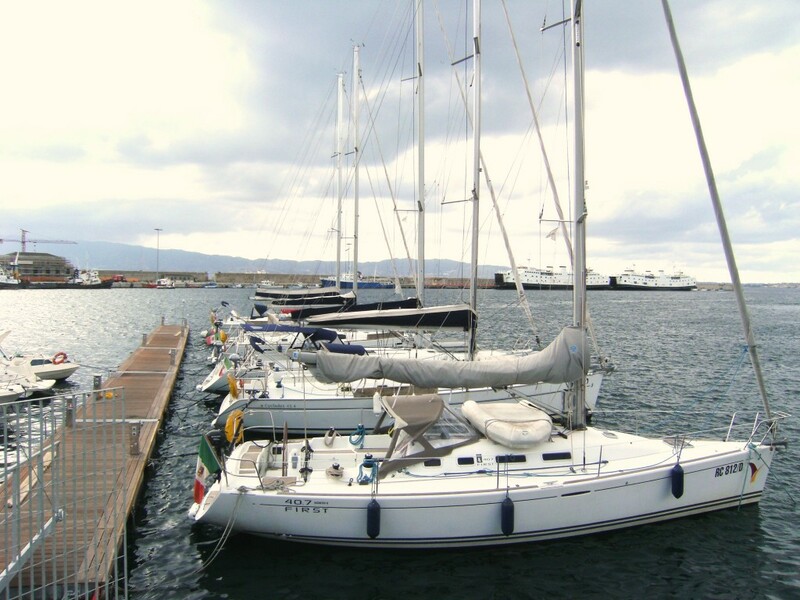 And we could also talk about the beauty of Reggio Calabria’s coast which just for its strategic position and for its fair winds, seems to be the perfect boarding place for sailing to any destinations.